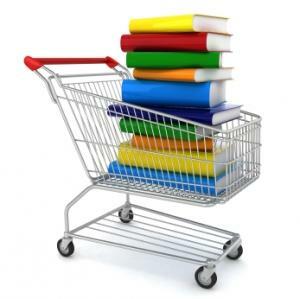 Buying books in Spain isn’t cheap, whether in your own language or in Spanish, however have you ever thought about sharing your books rather than leaving them to gather dust on the bookshelf? Instead of just sharing between your family and friends, why not take a look at a couple of websites that offer book sharing on a global scale? Visit BookMooch.com (multi-language website) where it’s free to join. In order to receive books you’ll need to put up a list of your own books that you want to give away (you’ll have to pay for postage to the recipient). BookMooch works via a points system; for every book you include on your list to give away you’ll receive 0.1 point and when you mail a book to someone you’ll get a full point. You’ll need to give away at least one book for every two you receive. If you decide to request books from other countries these are worth 3 points (to compensate for the higher mailing cost), but this means it’s easier to receive books in different languages. “I’ve been using BookMooch since 2008 and enjoy using it as you can send and receive books to and from readers around the world. As a regular traveller I often drop off books when I’m in other countries to save on postage and recycle great novels. With a great quote from The New York Times on the homepage “If you love your books, let them go” BookCrossing allows you to tag your book with a unique BookCrossing ID and follow it as it travels around the world. To share your book you can either give it to a friend or stranger or give it to someone from the BookCrossing community who’s looking for that title. They also encourage simply leaving your book somewhere where it will be found, such as at a train station. According to stats on the BookCrossing website, there are over 850,000 active “BookCrossers” who have registered almost 7 million books travelling 130 countries.